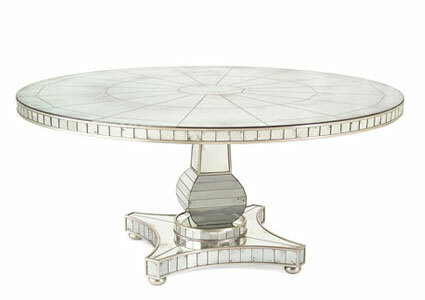 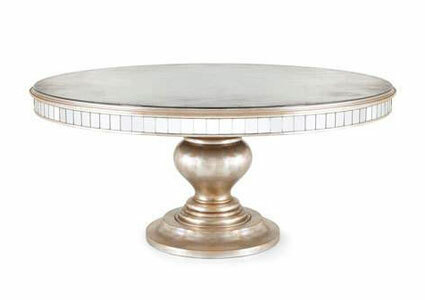 If you want to buy round or rectangle mirrored dining table in modern, antique or classic style, here you can find the largest collection online! 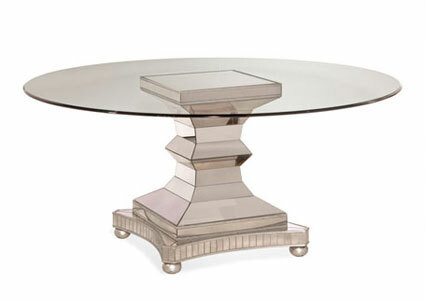 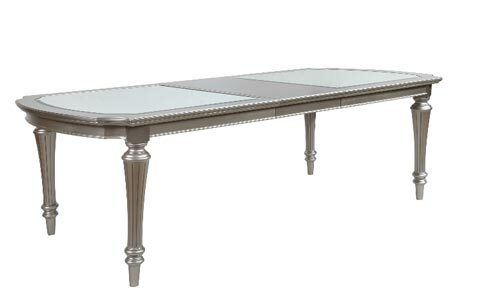 Our broad selections of mirrored dining tables are offered by top brand names. 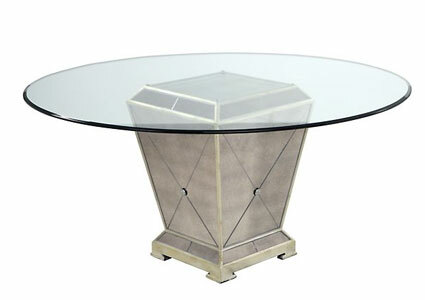 These mirrored dining tables are matchless, durable and functional that will surely complement any dining room interior. 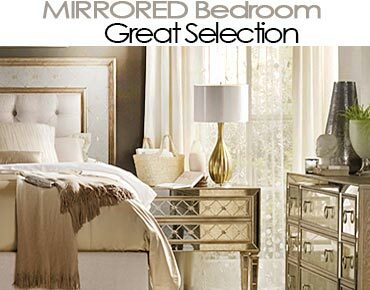 Browse the section, and check out the mirrored furniture sale items too! 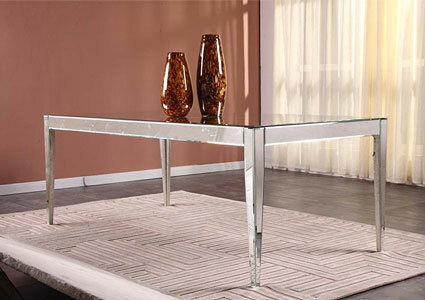 Elevate your living space with the Modrest Griffin modern mirrored dining table. 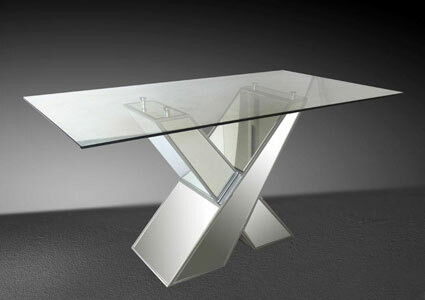 This stylish mirrored dining table features an inventive “X” designed mirrored base and a clear glass top. 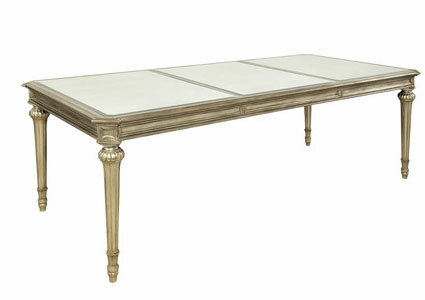 Enhance your dining experience with this Stasia gold and beveled mirror rectangular dining table. 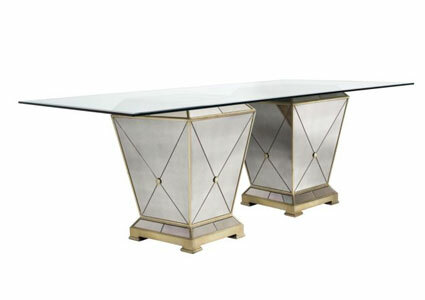 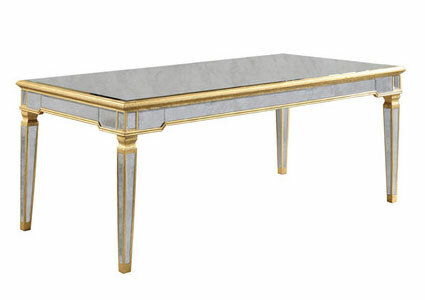 This mirrored dining table feature a decorative apron and tapered legs trimmed in a luxe gold finish. 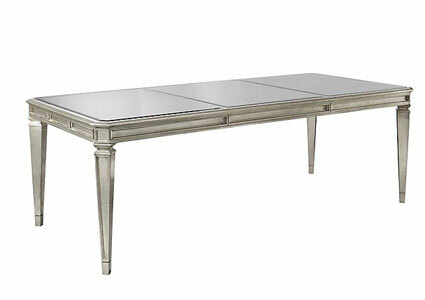 Make mealtimes exciting with a mirrored dining table. 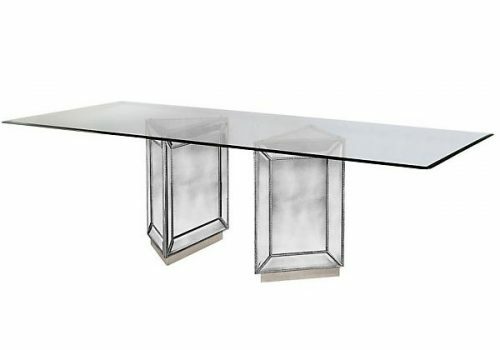 The beautiful, shiny surface is attractive and who knows, it may finally get your little ones to actually eat and you’ll finally take a break from forcing spoonfuls down their throat for a painful two hours during dinner. 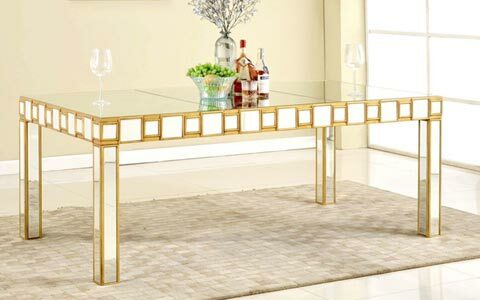 Mirrored dining tables are designed to go with any decor style, so it doesn’t matter what style you’ve adopted in the dining room or home if you’ve carved out a dining section from the kitchen or living room. 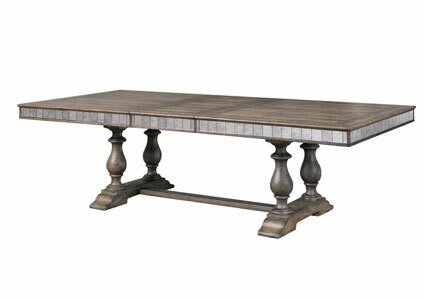 The dining table will be a fitting addition and will probably add to the style in the room. 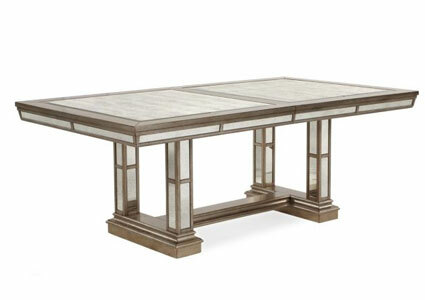 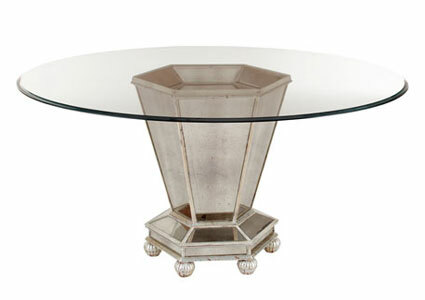 Traditional style mirrored dining tables complement traditional, country, vintage and antique decor styles very well. 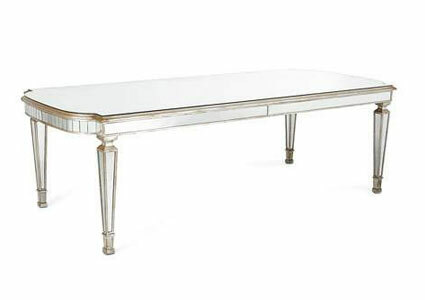 If you’re styling is more contemporary, any of the modern mirrored dining tables available will add to the chic look. 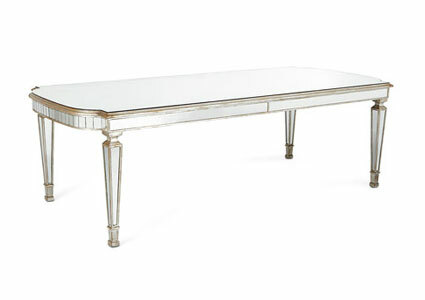 Mirrored dining tables can have a wooden or metal frame. 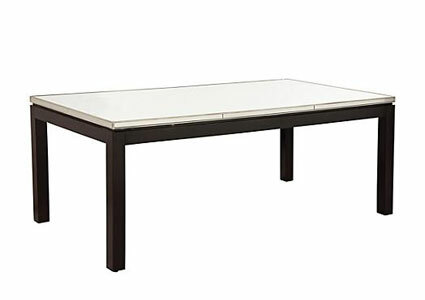 Both frames are attractive and quite durable so if you’re looking for a table that you can use for a decade or so, you won’t go wrong by picking one of these. 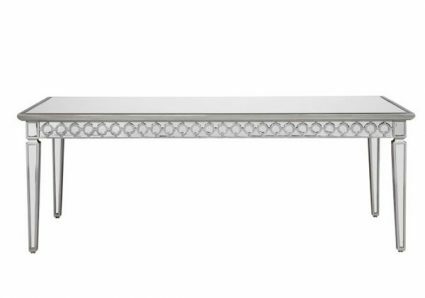 The choice between a wood frame and a metal one comes down to individual preference eventually, so go for the material you like more. 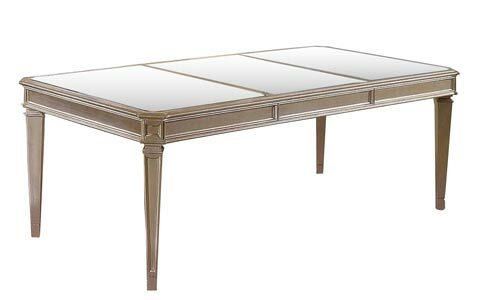 The non-mirrored frame of the table is finished in different colors, and, in this aspect, you’ll again enjoy lots of variety to choose from. 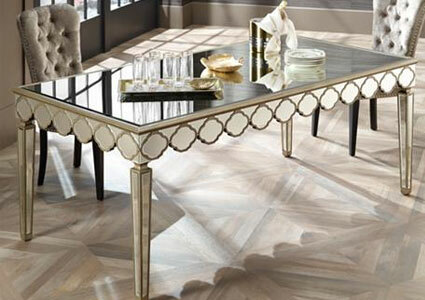 Choose a mirrored dining table that’s the right size for you, using available space as a guide. 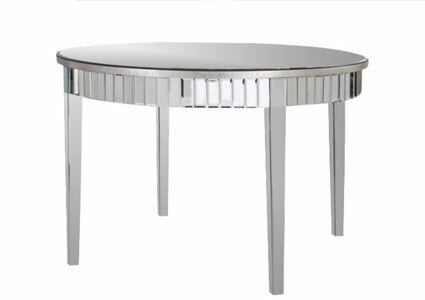 Round mirrored dining tables perfect for small dining areas, average rectangular mirrored dining tables and large oblong and rectangular mirrored dining tables are all available.